At the beginning of 2011, Ray gave two talks at the ExCel Centre in London as part of The Outdoors Show. 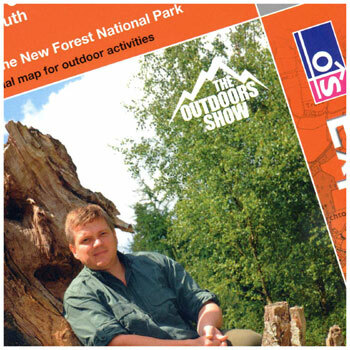 To coincide with this appearance, the Ordnance Survey group produced a limited run of Ray Mears Explorer Maps, covering an area of Britain of Ray’s choosing. Ray chose the New Forest, a favourite area of his, and one which he visited as part of his latest Wild Britain series. Nearly all of these maps were given away to attendees of The Outdoors Show; however, we were able to get our hands on the last three! If you’d like to get hold of one of these maps, we’ll be giving them away with the next three purchases of the Silva Expedition 15TDCL Compass. If you’d like to take us up on this offer, what you’ll need to do is e-mail us with your name and address. If you are one of the first three people to get in touch, we will reply with a confirmation to say that you can now go ahead and place your compass order, and your free map will simply be included in your parcel. Update: Congratulations to Dave, Simon and Mark, who got in there first and nabbed the three remaining maps. This entry was posted in Bushcraft Clothing & Equipment, Competitions on May 19, 2011 by Woodlore Team.